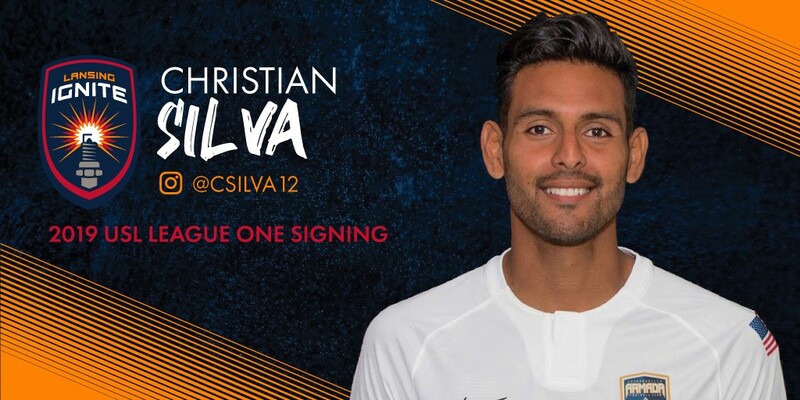 Lansing Ignite FC has signed midfielder Christian Silva as it’s second player for the inaugural season. Silva will join Ignite FC, founding member of the USL League One, pending league and federation approval. Having most recently played for Jacksonville Armada FC, Silva brings his experience to Lansing from the USL Championship and Sweden. The 29-year-old played college soccer at the University of Tampa and University of South Florida before appearing in USL League Two side Ocala Stampede and pro club VSI Tampa Bay FC. In 2014, Silva moved to the Swedish side Karlstad BK, where he notched two goals in 12 matches. In March 2015, Silva moved back to the states to play with the Rochester Rhinos, and in January of the following year. he moved to Orange County Blues FC (now Orange County SC) before being transferred to Arizona United. Silva is the second player to sign with Lansing, following the announcement of Xavier Gomez. The team will begin practice in February 2019 with their first match date to be announced soon. Additional player signings will take place over the coming weeks with announcements to follow. For more information on Lansing Ignite, visit www.lansingignite.com or follow the team on social media.